The Moreland district is playing a prominent part in Shaker Heights’ recent evolution, which also includes the transformation of the Van Aken District. Add that to the enthusiasm of the residents and the area continues to flourish. “A city can put in infrastructure, but what makes a neighborhood a great place to live and work is the people. Moreland residents have made neighbor-to-neighbor and resident-led projects their focus,” says Lewis. 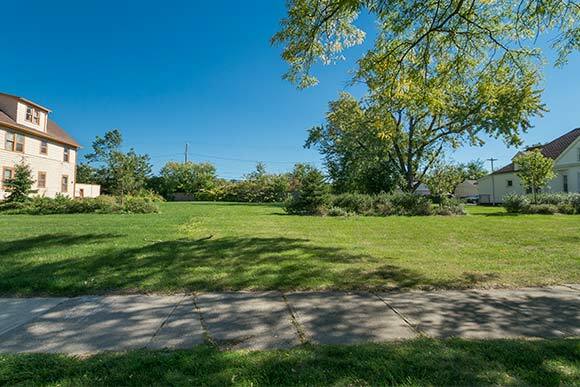 “Many inner ring suburbs like Shaker Heights have been impacted in the last decade by the housing crisis," notes Lewis, adding that it has resulted "in the demolition of properties and the consequent availability of vacant lots for redevelopment.” To that end, the competition will focus on three vacant lots on Chelton Road, including a single lot at 3539, a double lot at 3531 and a triple lot that spans the addresses 3561, 3567 and 3571. The application process began last month with a submission deadline of January 6, 2017. Partners on the unique collaboration include Ingenuity Cleveland, the Kent State University Cleveland Urban Design Collaborative (CUDC), Cuyahoga County's Department of Sustainability and the Cleveland Design Competition. Jurors for the competition include nationally recognized architects Marc Norman, founder, Ideas and Action, and Brian Phillips, founder, Interface Studio Architects LLC. Local expert jurors include CUDC director Terry Schwartz and Jennifer Coleman, senior program officer for the arts for The George Gund Foundation. On Wednesday, Oct. 19, from 6 to 8 p.m., at The Dealership, 3558 Lee Road, the city will hold an Interactive Community Forum, giving the design groups and the neighborhood a chance to discuss the ideas for renovation and the building plans. Residents will also be able to interact with the potential design competition proposers and learn more about them. Lewis will moderate the Oct. 19 event, which will feature Foley; Nick Fedor, executive director, Shaker Heights Development Corporation; Brad Fink, architect, Westlake Reed Leskosky; realtor Liz Schorgl of Howard Hanna and Anne E. Williams, who is a Shaker Heights councilwoman. While the event is free, attendees are encouraged to register. “We are very pleased with the response,” says Lewis of competition participation and community reaction thus far. (MOOS) kids at IngenuityFest Making Our Own Space … COOL! Another creative effort in the Moreland district engages a different creative/maker set. 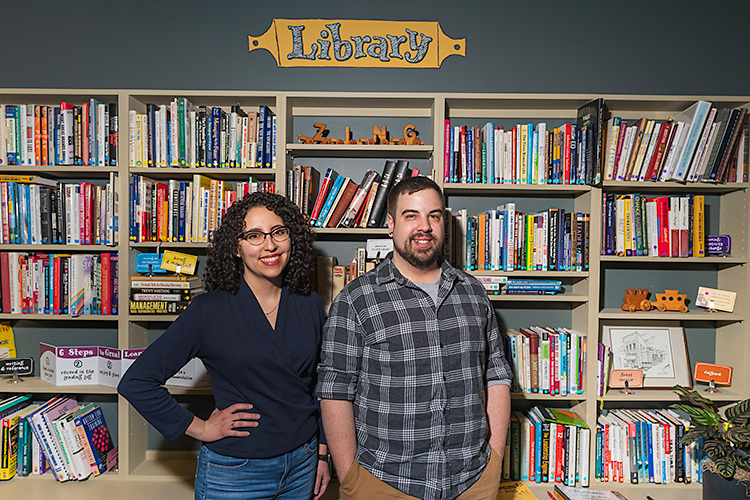 The Making Our Own Space (MOOS) initiative, which is part of the Moreland Rising effort, aims to develop an array of skills among participating Shaker youths. 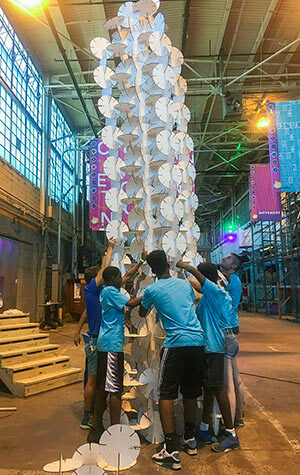 While the initiative is ongoing, this year the Shaker MOOS group branched out with a live building and creating at the popular annual IngenuityFest. In addition to creating towering art sculptures out of interlocking would-be flower discs with festival-goers, the students also spent the weekend hard at work on a trio of stoops. That's right, just stoops – where everyone loves to gather, but these stoops aren't attached to houses. And while they don't lead to porches, they have more to offer than just a place to sit. One has a slide, another has a collection of "ninja" balancing steps and the third is outfitted with a sliding pole. "The students are building projects hands-on," said David Jurca, associate director at CUDC, which is a partner in the MOOS initiative, on site at last month's IngenuityFest. "They're making very useful interactive products," he added as power drills buzzed behind him. "The projects don't look like they're made by kids either." Each of the 12 participating Shaker Heights students will receive a $500 stipend at the conclusion of the entire session, while also getting $125 after each quarter. 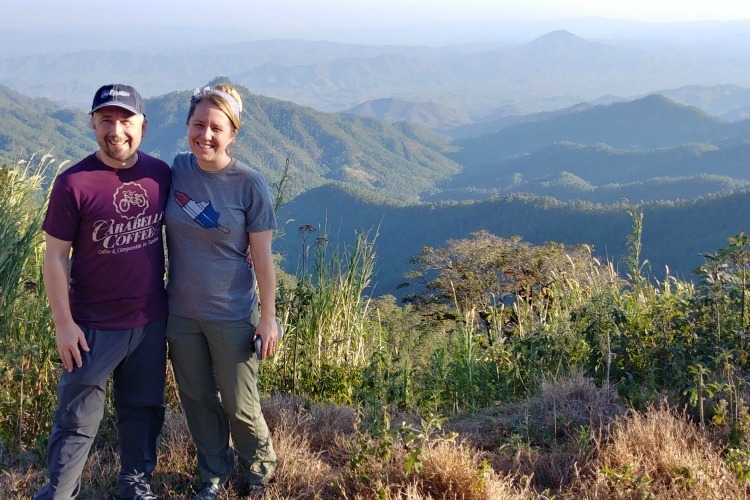 While that sum does not necessarily cover the time the kids put in, said Jurca, "it is something to show them that what you're doing – your work – is valuable." After IngenuityFest, the group transported the works back to The Dealership. The sculpture/building discs will be available for fun interaction and the stoops will get finished up and outfitted with cool paint jobs before being installed in Moreland district parks. 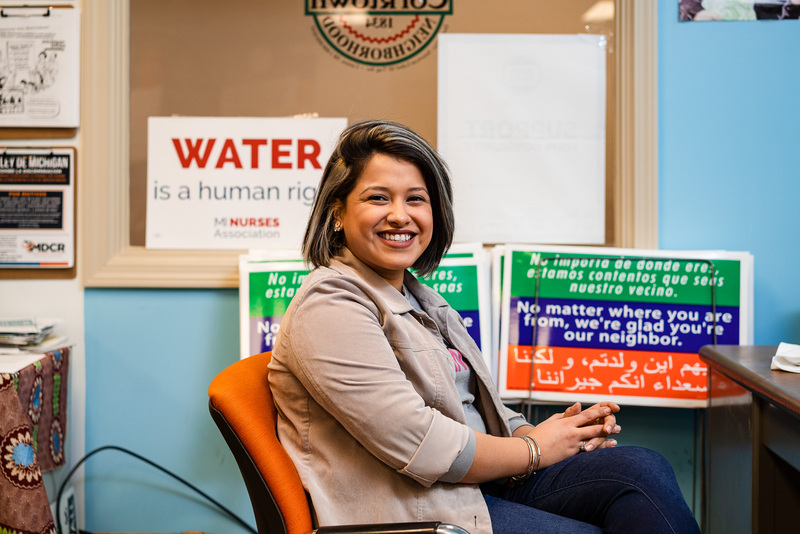 "With everything that we build," said Jurca, "the intention is for it to stay in the Moreland neighborhood to be used by the residents that gave us feedback on the project." Creativity in the Moreland district also extends to community-based efforts such as The Chelton Park Mural project. The effort was led by accomplished and award winning artists Gary Williams and Robin Robinson of Sankofa Fine Art Plus. Sankofa, 540 E. 105th St., is a non-profit art organization founded in 1999 with the mission of advancing African American arts and artists in Northeast Ohio. The organization is committed to bringing art with positive messages to area streetscapes and public spaces for the purpose of instilling a sense of pride and empowerment in those communities. The project was funded by the City of Shaker Heights. 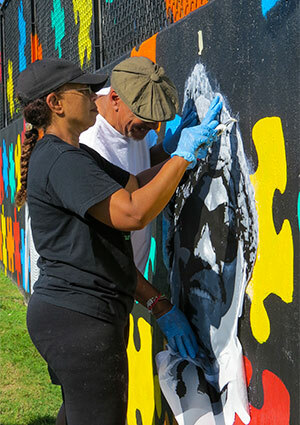 Artists Gary Williams & Robin Robinson of Sankofa installing the Chelton Park mural Robinson and Williams have been involved with the arts for decades. 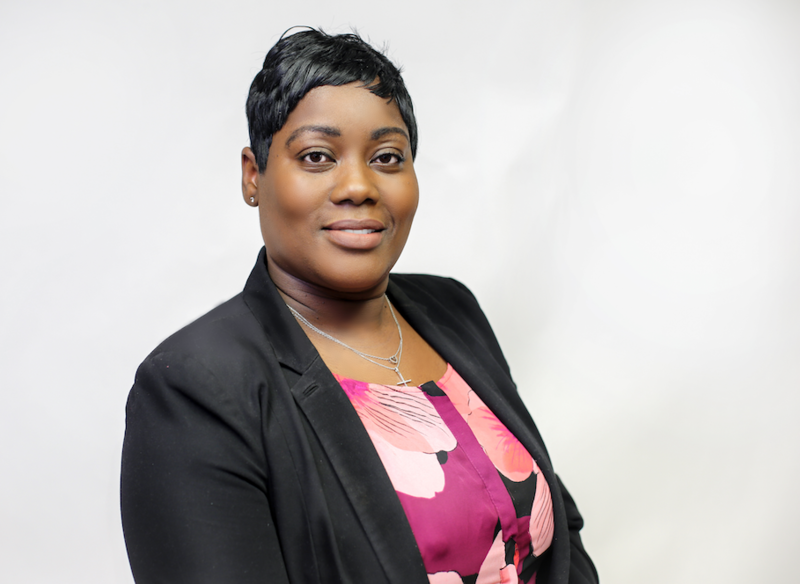 Robinson is an educator and certified art therapist. Williams, a retired attorney and educator, now works on his art full-time. Together with local artists in 2013, Williams and Robinson helped to create and install a 40-foot-tall mural of actor/activist Ruby Dee on the wall of the Karamu House. The duo's next effort, as part of the Cleveland Foundation' s Creative Fusion program, includes working alongside international muralist Ananda Nahu to create a mural near West 28th Street and Washington that will be more than 120 yards long and about 30 feet tall. Erin O'Brien contributed to this article. The City of Shaker Heights is part of Fresh Water's underwriting support network.